Top Jaish-e-Mohammed commander, Khalid Ahmed alias Khalid Bhai, killed during an encounter in north Kashmir’s Ladoora village, security forces said Monday. Khalid, a resident of Pakistan, had active in the region over the last seven years and categorised as an “A++” militant, placing him in the most-wanted category, they said. J&K Police said that Khalid was the operational chief of JeM in north Kashmir but also took part in militant activities in the south. DGP S P Vaid described the killing of Khalid as “a big breakthrough for the forces” as the the militant “involved in many attacks” on security camps in north Kashmir, targeting policemen in particular. “He was killed in a joint operation by the J&K Police’s Special Operation Group, the local police, CRPF and the Army,” said Vaid. Police said that Khalid, in his 20s, killed in a gunbattle with security forces, who engaged in a joint combing operation in Ladoora following a tip-off about the presence of militants in the area. The militants opened fire at a patrol party and later hid inside a private property in the area, they said. After more troops rushed to the spot to prevent the militants from escaping, an injured Khalid took refuge inside a house before gunned down, said police. SP Sopore Harmeet Mehta told Khalid was active in Kashmir since 2009. “He was operating in north and south Kashmir, and involved in the killing of civilians. He also planned fidayeen attacks in the Valley,’’ said Mehta. Police said Khalid was also trying to recruit cadre for JeM and had a good network of “over ground workers”. They suspect that he was planning a “big attack” in north Kashmir. Police were also probing his role in the recent attacks by JeM on a BSF battalion headquarters near the high-security Srinagar airport and on the District Police Lines at Pulwama. 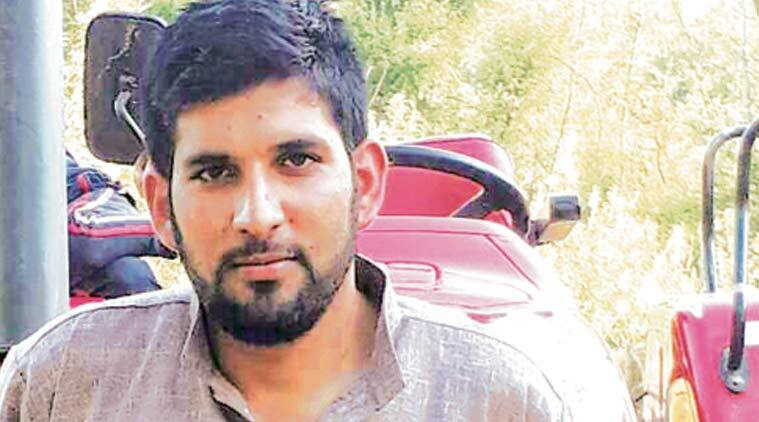 According to police, they had come close to nabbing Khalid last year when they zeroed in on his hideout in north Kashmir and even managed to seize his weapon. Security officials said Khalid used to receive fresh cadre from across the Line of Control (LoC) while on the move between Rafiabad, Handwara and Bandipore areas of north Kashmir. Khalid is one of the senior-most militant commanders to killed by security forces this year. Over a dozen top leaders of Hizbul Mujahideen, Lashkar-e-Toiba and JeM have killed by security forces since January. Last month, one of the oldest surviving militants in the Valley, Abdul Qayoom Najar, killed on the LoC in Uri. Be the first to comment on "Jammu-Kashmir: Top JeM commander Khalid Ahmad killed in Ladoor encounter"